Redesign: Add a spa, water feature and more! From replastering, to tile replacement, to new decking, to full-scale makeovers, our highly trained crews have done it all. Renovations help ensure safety, lower maintenance and extend the life of your pool and spa. We offer the best Commercial pool remodeling services for your Gunite and Pebble Commercial Swimming Pool. Whether you are looking to dive into a major remodel or if you are just looking to replaster and re-tile your Commercial swimming pool and spa, Affordable Pools can do it. We strive to give our clients an honest evaluation of the task at hand, seeking to meet your needs before, during, and after the process of your swimming pool remodeling project. At Affordable Pools, our focus is on you. Affordable Pools offer our Commercial clients a competitive price along with quality workmanship performed in a time efficient manner. We understand the importance of good communication with our clients throughout the Swimming Pool remodeling process. On top of all of that, our goal is to create a lasting positive relationship with all those that use our swimming pool remodeling services; a relationship that does not turn you into a job number, but a relationship that would cause you to be proud to refer Affordable Pools to your best friend! Contact us today for a free quote on your Commercial swimming pool remodeling project. 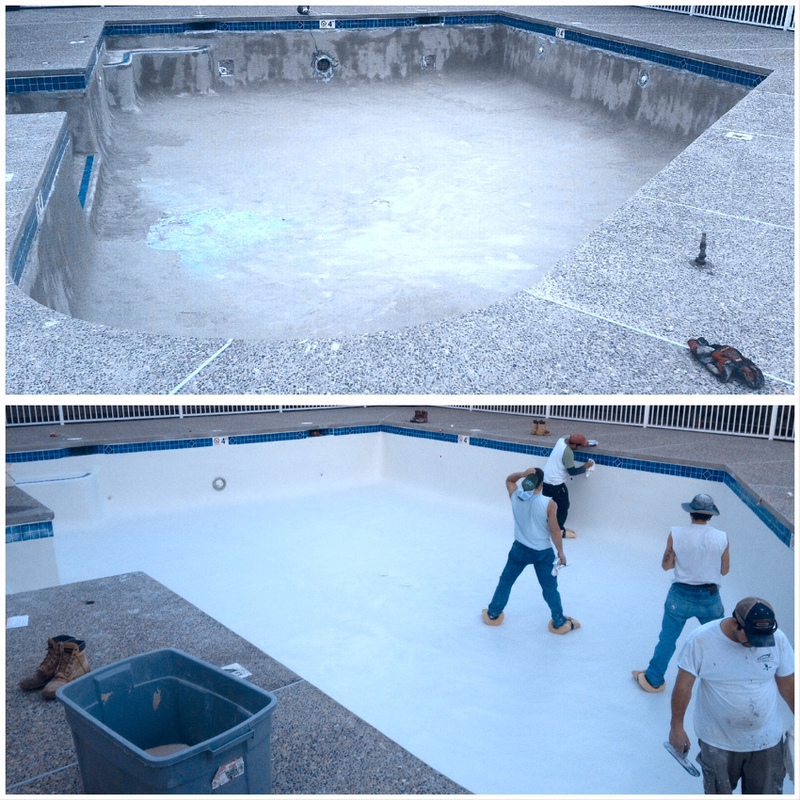 At Affordable Pools, we can make your Commercial swimming pool and spa plaster new again. Whether you want to apply the traditional standard white plaster, or if you would rather add some spice to your swimming pool and spa by applying a 3M Color Quartz finish, or pebble finish, Affordable Pools can do it! We look forward to bringing happiness back to your Commercial pool. Simply contact us today for a free quote. When your existing swimming pool needs more than basic service or repair, you need seasoned design, construction & technology experts to give it a total makeover. Let Affordable Pool’s renovation pros deliver more than you ever imagined possible with a complete modernization and style make-over.